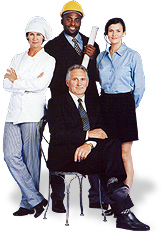 Everyday Recruitment Agency specialises in sourcing temporary workers as well as permanent staff for any industry. Operating since 2001 we are well established as one of the leading suppliers of staff in Sussex. We understand your need for professional, efficient trained workers who have a wealth of knowledge in their area of work. Our team of consultants are well equipped to supply bulk staff numbers as well as short notice cover and will react quickly to ensure that we meet your requirements. Do you need careers advice?